A guide by Level 5 Pidgey, a Grandmaster D.Va main since season 4. All abilities, techniques, and mechanics are explained in depth. Learn how to play D.Va offensively and defensively, and check out the extensive hero matchups section. Initially, she was a very poor and unviable pick. Thanks to the Defense Matrix rework, she sat comfortably as a damage mitigation off tank that could use her mobility to dive and clear areas for the team. After becoming meta, receiving buffs, nerfs, and a new rework, D.Va’s found her place as an offensive bruiser with lesser capabilities in damage mitigation. D.Va, after her rework, is best classified as a Bruiser, a character that specializes in both offense and defense. Thanks to her skill set, she is a combination of surprising burst damage and damage mitigation. With a realistic DPS potential of around 100 damage per second, D.Va is able to deliver good damage within her effective range using these dual, full auto, shotgun style weapons. They do have a large spread, but learning to use them optimally is the best way to maximise the damage you deal in your MEKA. Outside of her MEKA, D.Va is equipped with a light blaster with a magazine size of 20 - it deals 14 damage per shot and fires 6.67 shots per second. Unlike her fusion cannons, the pistol features no damage falloff and acts as a projectile rather than a hitscan shot. Just like Mercy, her bullets can deal a surprising amount of damage. Damage falloff distance. Many people consider D.Va’s damage to be weak - mainly due to the damage falloff distance. Note that this falloff calculation does not apply to targets under 10 meters away, so you still have a large zone of consistent damage potential. Stay alive. When firing as mini D.Va, remember that the closer you get to the target the easier it might be to land shots (as there is less distance for the target to move as you fire) but it’s also easier for enemies to hit you. Try to stay out of your opponent’s effective range as you maneuver around and charge your Call Mech back. Staying alive is your number one priority! Deny shield regeneration. Due to the nature of D.Va’s weapons and damage calculation (that the game does in floating point) max range shots by a D.Va will still deny shield regeneration on characters such as Zarya, Zenyatta, or Symmetra - on top of Mercy’s passive. Peek-shooting as a mini D.Va. Because the bullets are projectiles, and mechless D.Va sports a very small hitbox, you are able to peek-shoot around corners. A common skill found in many FPS games, peek-shooting allows you to deal damage without risking your own life in the middle of a firefight. Knockback resistance can save your life. On top of the 50% move speed penalty, D.Va also receives 50% knockback resistance whilst shooting. This may sound useless, but it is an important factor to consider when against characters like Lucio as they will boop you half the distance. The abilities marked in italic can no longer be blocked for their full duration. Defense Matrix is still undoubtedly one of the strongest abilities in the game, but its key usage has become more important than ever due to the shorter duration. Protect your team’s ultimates. An under-utilized feature of D.Va’s Defense Matrix is blocking fire focused towards ulting teammates. 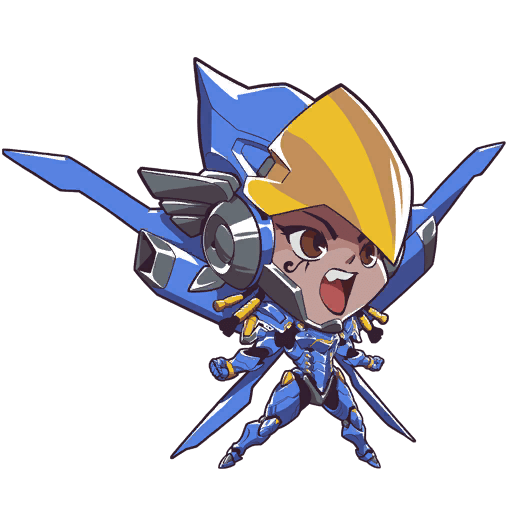 If your friendly Pharah is ready for a game-winning Barrage, ensure success by protecting her as she unleashes hell on the enemy team. This works well with any channeled ultimate such as Tactical Visor, Barrage, Deadeye, Whole Hog, or Configuration: Tank. Attack Cycles. Given enough time and practice, you should be able to learn common attack cycles for each character. The easiest example to showcase is against Tracer, who has a second of burst damage, followed by a second of reloading. Against characters like her, you can efficiently cycle your Defense Matrix by tapping the mouse instead of holding it, to prolong the amount of time you can deny their shots for. Activate Defense Matrix when necessary. As a more general guideline, it’s best to flash Defense Matrix up when your opponent shoots, then drop it when they reload or ready their weapon again. Doing so will allow your ability to last longer and possibly change the outcome of the fight. A key facet of D.Va’s Defense Matrix is the nature of her shield. Unlike Reinhardt’s shield and Zarya’s barrier, D.Va’s Matrix blocks damage in front of her, rather than behind or around her. This often means that D.Va may be better at the back of the team rather than the front, and leading the charge with Matrix is often a bad idea unless you’re diving someone specific to neutralise a threat. Boosters are D.Va’s primary way of engaging and disengaging in a fight. She can turn and change directions, damaging (25 damage) and knocking back enemies, but each enemy can be damaged and knocked back only a single time with each use of the skill. D.Va moves at 12.5 meters per second while boosting. One under-utilized technique for Boosters is flying upwards. It sounds silly, but in most scenarios - unless you’re the only target boosting up in the air and dropping back down - is an easy way to re-enter a fight, and gives you a second of breathing room so you can choose the best target as you drop back down. Knockback your opponents. Use the knockback portion of D.Va’s Boosters to knockback enemies as they approach, or clear some space for yourself or the team. 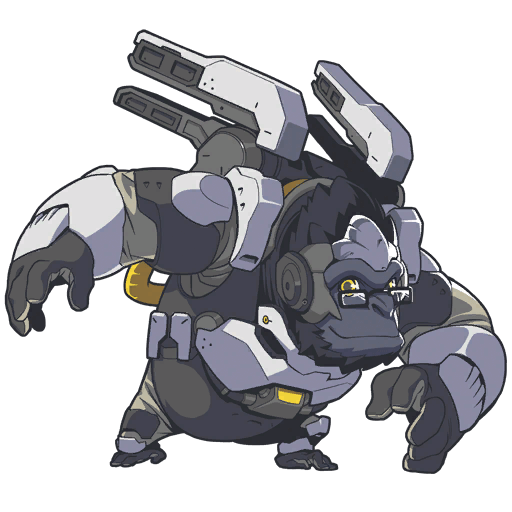 If a Winston engages on your team, deny his leap with your own Boosters to put him in an awkward position, and deny his splash damage as he lands. Cancel Boosters as soon as possible. One trick for Boosters usage, that very few people outside the most experienced D.Va mains utilise, is cancelling Boosters as soon as possible. Like most (but not all) channeled abilities in the game, the cooldown will only start being restored at the end of the channeling. By cancelling Boosters as soon as you’re not using them, you can shave off time you’d otherwise not have Boosters for, and use them more efficiently. Extra melee attack. If you are fast enough, you can actually use Boosters and then melee, without cancelling the boost movement at the start of your Boosters usage. This can finish off 55 or lower health targets without cancelling flight, or for a surprise Boosters + Melee + Melee combination for an 85 damage burst. This trick will be patched sooner or later! Cancel your melee attack animation. Similarly (but not a bug, this time), you are able to cancel the animation of a melee attack straight into using Boosters, as an extremely fast and reliable method of dealing the 55 damage Boosters + Melee combo. As soon as your melee animation begins, you can begin boosting, dealing the melee damage (even though the animation for it is no longer playing) and then inflicting additional Boosters damage as you bump into your target. Micro Missiles are the latest addition to her kit, in replacement for a weaker Defense Matrix. Whilst it sounds odd, the new skill adds both offensive and defensive capabilities: rather than matrixing yourself or your teammates, you’d instead be using these bad boys to blow the attacking enemy up. The ability also has great offensive usage and can be used to dive and burst squishy targets reliably. Dive Bomb. In combination with our previous tip about Boosters involving flying upwards to create space for yourself, Micro Missiles can be used on the downfall to “dive bomb” unsuspecting enemy players. You can also create an easy sightline for you to land a full volley onto an opponent hiding behind a shield or object. D.Va’s cannons are hitscan, but her missile volley is not. When using them, ensure you focus aiming with one type of damage in mind, depending on the range. At longer ranges, it’d be better to focus on aiming your missiles by leading your shots, at the expense of cannon damage (because it is weaker at longer ranges anyway). Micro Missiles are a channeled cast - meaning they will be interrupted by CC. If you get CC’d before a single missile is fired, the cast time is reset. Because you cannot cancel the missile barrage once you start it, it is easy for heroes such as Genji or Zarya to take advantage of the volley to either reflect it or gain charge, respectively. You can bait these abilities, or save yourself by looking to the side or straight up, so the missiles will miss them. Quickly charge your ultimate. A fully accurate volley does 162 damage to one target, so with Micro Missiles alone it would take 8 volleys to charge Self Destruct, if you were accurate. Combining these with her guns and the rest of her kit, D.Va can farm the ultimate quickly off targets such as Winston or Roadhog. As her only long range damage tool, missiles are a reliable way of farming the ultimate at distances her cannons cannot reliably hit people. While in pilot form, D.Va has the ability to call down a new mech which will bring her back into her MEKA with all of her cooldowns reset, and fully healed. Her Defense Matrix will also be restored to full charge. The ability has a small area of knockback and deals 50 damage to all enemies in the radius. Call Mech can be interrupted. Since a recent change, Call Mech channels can be interrupted by CC, resetting the channelling and all ultimate charge towards calling a new MEKA. Because of this, be careful calling your mech around heroes such as Roadhog or McCree. It damages and knocks back opponents. D.Va’s Call Mech can slightly damage enemies (50 damage) and also has a slight amount of knockback. This can knock opponents off the map when you re-enter your MEKA, or give you some breathing room in a fight. You can change the direction you eject from your MEKA by holding the appropriate directional key. As you eject outwards, you will strafe in the direction you’re holding. Additionally, you can eject whilst holding the jump key, which will allow you to eject at an increased height. In the right scenarios, this can let you jump up to higher ledges, or maneuver yourself away from characters like Reinhardt which will try to kill you quickly after you leave the MEKA. Negate CC and damage. If timed correctly, a MEKA-calling D.Va is able to negate completely CC effects from abilities such as Earthshatter, and in very fringe cases even damage. Anticipate ultimates with your MEKA Call to re-join the fight in your mech and assist your downed allies. It is important to note that D.Va’s mech actually only has 599 effective HP, as D.Va will be instantly demeched once she hits 1 HP. Self-Destruct is D.Va’s more acknowledged ultimate ability and takes longer to charge. 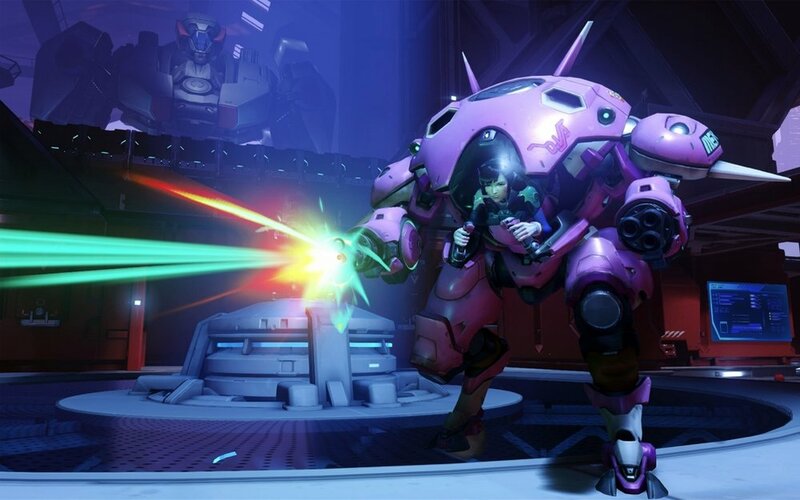 Activating the ability pushes D.Va out of her mech into Pilot form, setting the reactor in her MEKA to explode. After 3 seconds, the MEKA detonates, dealing 1000 damage in a 20 meter radius, with significant damage falloff. The ultimate takes 1375 charge points to acquire and has strong offensive and defensive capabilities, but is often under-utilized. Pressing Q on a standstill is almost always a no-no and will be much less effective. Mastering basic D.Va’s Self Destruct techniques is an easy way to make your ultimates look cooler, and net you more kills. Get Reinhardt to use his Pin on an enemy shield bearer such as Winston, Zarya, or Reinhardt. Use your ultimate as the Reinhardt begins his charge, and the bomb should go off soon after the pin connects. Just hope your Reinhardt doesn’t miss! A little bit easier to set up, this combo is best done against an enemy Reinhardt. 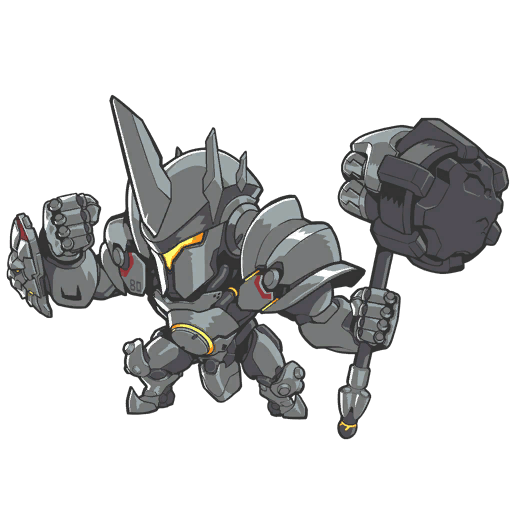 Toss your bomb behind the enemy Reinhardt, which forces him into a difficult situation. If he turns around to save his own life, he risks being shattered - and if he doesn’t turn around he risks dying to the D.Va bomb. If the enemy Reinhardt rotates his shield, your Reinhardt can Earthshatter for an easy multi-kill. I don’t think this needs explaining: make sure as many shields as possible are down, press Q together, and enjoy free multi-kills. Make sure you emote to look cooler in POTG sequences. Getting your Ana/Lucio to sleep or boop a shielding target such as Reinhardt can easily turn a 0 kill bomb into a 4+ one. Just make sure that your support is confident in their ability to set up the kills for you, or you will end up with a disappointing combo. Using McCree’s Flashbang to stun targets that could block your ultimate is another easy way to collect multiple kills from it. Other than comboing with teammates, there are other ways in which you can create effective ultimates, just by yourself! Nothing fancy is required - just some use of your own intuition and appropriate analysis of the situation. Sometimes an ultimate does not need to score kills to be effective. Making a fortified defense scatter for cover can break apart an enemy team and allow you (and your team) to clean up. Boosting into the enemy team and then flicking your mouse up at the last second to launch the ultimate into the air is a great distraction target to those that commit to you for a “free kill”. These are often a bit easy to predict though, and as such are best for desperate/overtime pushes. Smarter enemies will know when D.Va’s ultimate is ready, and that she’s boosting in such a manner only to land a better Self Destruct. Angle a bomb sharply on the ground to make it skid forward slightly along its flight path. This makes the bomb harder to predict and can be used to make a bomb edge around a corner, behind a shield, etc. Probably the most common (proper) D.Va's Self Destruct: ulting into the air after a delay will allow your bomb to explode above shields or cover, and thus will increase their effectiveness. The enemies affected by your ultimate. D.Va’s ultimate calculates whether enemies are in the blast zone through a hitscan “raycast". If the centre of the exploding MEKA can draw a straight line to an enemy hitbox without colliding with another object (note: not another player) or shield, they are considered in the blast radius. This allows some big characters to hide behind small objects like lampposts without getting exploded - because the raycast is obstructed. Sneaky ultimates. Whilst an exploding MEKA is boosting, it will attempt to travel in the same direction relative to the starting trajectory it began its flight path on. This allows for some very sneaky and unique ultimates that ride up walls and ceilings to be made as the bomb will try to continue it’s flight path even if it meets a wall. If you are looking for some video on these techniques, refer to this playlist. 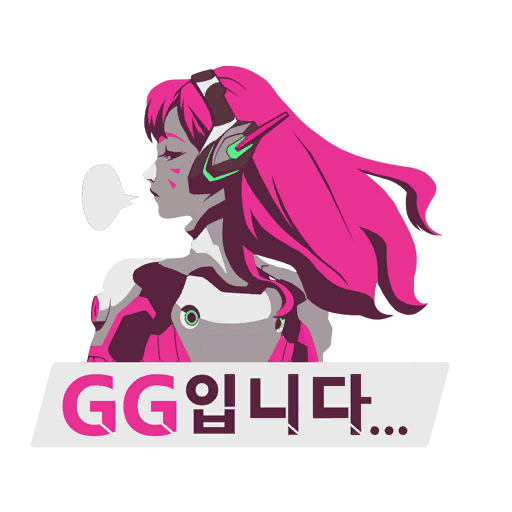 We will summarily talk about the different reasons you’d pick D.Va based on her role in the team. Because of her combination of mobility, damage, and defensive capabilities, D.Va is a very flexible tank pick that compliments most if not all lineups effectively. Because everyone’s opinion of how D.Va should be played as/like varies from bracket to playstyle, this section will simply talk about what you’d be picking her for, and what D.Va is strong at within that category. If you’re picking D.Va for her offensive capabilities, you can easily make use of her great burst arsenal (with Boosters + Micro Missiles) and consistent and annoying damage produced by her cannons, as they do not need to reload. Danger Zones. Offensive D.Va players should aim to create “danger zones” for enemy players, much in the fashion Roadhog does in the area his Chain Hook can reach. Good players will respect these areas (GM players simply won’t walk around in the open near a Hog when his hook is up) whereas lower elo players often won’t. For D.Va, she creates “danger zones” on (mostly high ground) areas she can reach with her Boosters: here she can isolate a target and burst them down before a support can save them. Exploit the high ground. Characters such as Soldier: 76, Widowmaker, Ana, and McCree should position themselves on the high ground - which makes them vulnerable to being blown up by a D.Va that notices them isolated. Maps such as Watchpoint: Gibraltar, King’s Row, Hanamura, and Dorado all feature common high ground areas that D.Va should control to take advantage of for her team. It might be easy for you as a D.Va player to attack and get on the high ground, but most of your team would struggle to fight someone positioned there. Whilst Defense Matrix now has a much lower duration, and as a result can’t block as much damage consistently, there are still many opportunities to use it and her whole kit to defend your team. Defense Matrix can still block major sources of damage pretty reliably. When assisting characters on your team such as Reinhardt, Orisa, or Winston, you can keep their barriers sustained for longer by matrixing large damage sources like Junkrat’s grenades, Reinhardt’s Fire Strike, etc. Thanks to DishonouredLombax for the advices that went into this section. Higher sensitivity allows you to track and follow agile characters like Tracer more easily and maneuver more quickly whilst boosting. Lower sensitivity allows you for more consistent tracking however - so it’s still up to preference. Changes the Matrix binding to the way it was before Matrix’s rework at the end of season 1. Again, entirely preference, but Lombax prefers using this as it allows him to occupy his fingers on other buttons whilst in a fight (e.g. Melee, Missiles, aim/movement), even though it’s more inefficient. 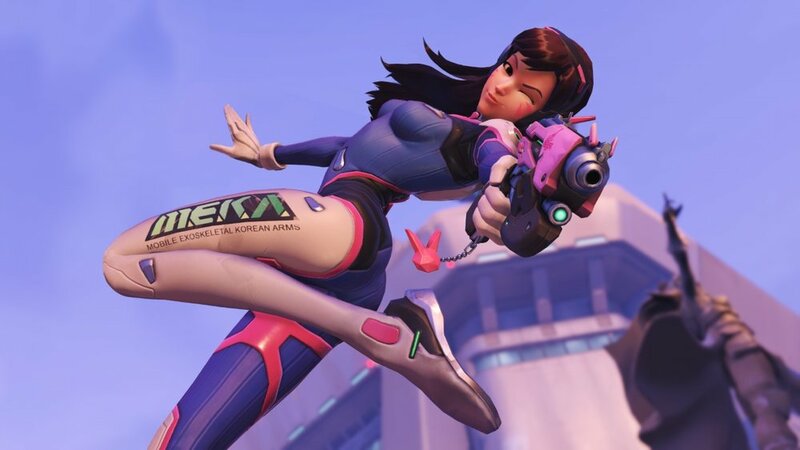 Whilst I don’t want to make this a full guide on aim as this isn’t specific to D.Va, your general goal in Overwatch with sensitivity and DPI is to go as low as comfortably possible to minimise Pixel skipping and promote healthier gaming habits using your arm to aim over your wrist. Depending on the quality of your mouse, you may have additional buttons available to you to rebind. Binding a mouse button to your ultimate is a great and comfortable way to make ultimate combos without having to adjust your finger from the Shift key to Q. I personally use a mouse button to melee attack too, for ease of use. If you don’t have a fancy mouse, there are still a few changes you can make to your bindings to improve your experience. You can swap binds such as scroll wheel (up and down, or click) to things such as using your ultimate, melee, or crouch, to crouch spam more easily or call your MEKA when you need it. Regarding sensitivity, it is advisable to keep your in game one as low as possible, to avoid pixel skipping. Make your DPI higher to compensate instead. Probably the most personally frustrating matchup. Even after the nerfs, Ana is a force to be reckoned with. Whilst she won’t be killing you solo anytime soon, she will definitely turn you into an easy kill for her team if you let her. Keep track of her Sleep Dart and Biotic Grenade cooldowns - always predict a fight with a 300 HP hero, not a 200 HP one. Biotic Grenade is the bane of any flanker’s existence and makes Ana very hard to kill in a short fight. Most Ana players will use Sleep Dart when you are at a close range to make an easier shot: predict the animation and noise before the dart fire and put up Matrix to block it. 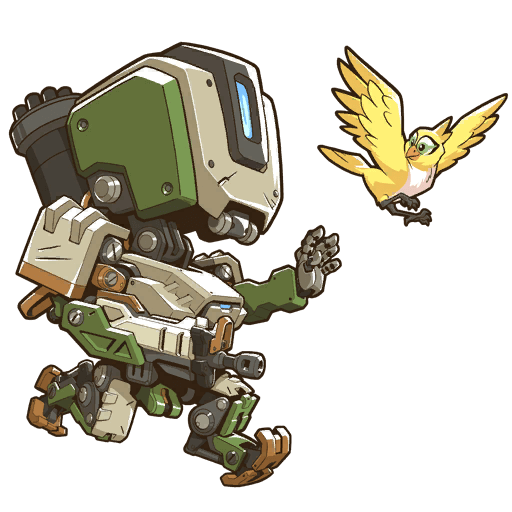 Against Bastion, it will be impossible to win a fight versus him in turret form if he’s aware of your engage. He will out-heal your burst, or mow you down before you can really damage him. It’s vitally important that you catch him on the flank as it is there you can burst him down before he can react. Doomfist is a pretty skill-reliant matchup. Dodging his Rocket Punch is vital to winning the fight, as it’s his greatest source of burst damage and is the only way he can get you out of mech quickly. Use your Boosters or sidestep the punch, and then go in for the kill as he’s easy to track whilst he is performing his uppercut. Additionally, you can also engage on him with your face turned away, so his powerful shotgun attacks cannot crit you. In a D.Va 1v1, it’s very much a mind-game battle. If you use Micro Missiles, you can force the enemy D.Va to waste her Matrix early, but are left without your greatest burst tool. When battling in close quarters, make sure you jump and strafe to ensure that you’re much harder to headshot as it is here where raw damage wins the duel. If you demech the enemy D.Va first, Matrix her bullets so that when or if you also get demeched, you can force the enemy D.Va to reload early. Be careful calling your mech however as it’s animation makes you an extremely easy target to get bursted before you can call it. Genji is another mobile but manageable hero that shouldn’t give you much trouble, provided you’re accurate. Without his dash, Genji can easily be chased and cannot escape your persistent attacks. When fighting him, utilise Boosters-Melee to boop him out of his jumps and make him easier to track. When Genji pops his Dragonblade and uses his dashes, try to boop him away from whoever he chases. A Genji that is unable to get a reset cannot chain kills, and often it will infuriate the Genji player as he desperately chases after his intended target.Tracking is the key here, in combination with a good usage of Boosters-Melee for some easy damage, and to disorientate the Genji as he gets knocked away. The closer Genji is to you though, the more “hitscan-like” his projectiles become. Try not to let Genji enter super close range as it becomes easy for him to run in circles around you and kite. Intelligent players will try to approach as close as possible to disorient you, and also deal the maximum amount of DPS. As said above, ensure you’re using Boosters and melee attacks to move him away. Hanzo versus D.Va is a personally fun matchup. Like Soldier and McCree, Hanzo is really only able to win the fight if he lands a close Scatter Arrow onto you as you engage. If you eat this, there should be no way for him to win the fight, provided you don’t mess up. Once you’re in close range of him though, it’s important that you spam jump and ADAD strafe as it makes it much more difficult for him to headshot you. Don’t be too close though as it’ll allow him easy headshots by barrel stuffing you. Junkrat takes 6 direct hits to demech a full HP D.Va. If you’re able to Matrix a few of his mines and grenades, you should be able to survive and kill him before he demechs you. Key tip: remember you can Matrix his passive mines after he dies! It may save a life one day. When enemy Junkrat players use RIP-Tire, be sure to find where the ulting Junkrat is, so you can secure a free kill whilst he is unresponsive and controlling his tire. If you know a tire is coming for you, boost directly upwards to reduce the damage you can take. A close-proximity tire will take a D.Va mech down to 5 HP, so by flying up you can reduce the damage you’d take as the tire explodes. Not really a difficult matchup by any means, but there’s a few techniques against a Lucio that will make taking care of the hippity-hopping DJ that little bit less painful. Remember that your MEKA weapons give you knockback resistance - allowing you to keep up the chase if he tries to boop you away. If he is wall riding, use Boosters-Melee to knock him off the wall and make him easier to track - it will also disorientate him. Don’t underestimate his damage and survivability especially if he can Amp It Up! He can become much more tanky than it seems - be certain of your kill potential before engaging and know when the Lucio has got away. Better to let him live than to overextend and possibly end up dying to multiple people if the Lucio calls for help. You will usually lose the fight if he flashbangs you properly, so eating it is vital. Usually, most McCree will use Flashbang as soon as you approach close range, so just boost into him with Matrix, then knock him away. Try to fire from outside the flashbang range if McCree doesn’t immediately use it. If he’s smart (as said above, and doesn’t use Flashbang immediately), you can tell when he’s about to use it outside of range because he will roll/walk towards you to land the stun. If he holds Flashbang until you run out of Matrix, just use your missile volley to reduce him to 25% HP (if you’re accurate) so you can kill him easily after your Matrix drops and you get stunned. Mei has all the tools to make your life difficult. She penetrates Matrix, can stall and survive just as long (or even longer) than you can, and can block your ultimate with her “nifty” ice wall. When fighting a Mei, always turn 180 degrees away from her before you get frozen. This way, her follow up icicles cannot crit as she will have to walk around to the other side of you (where the front of the MEKA now is) and by then you will be unfrozen. Most Mei players will walk forward and jump before ulting: Matrix an approaching Mei that moves towards your team as she tries to capture the most people in it. 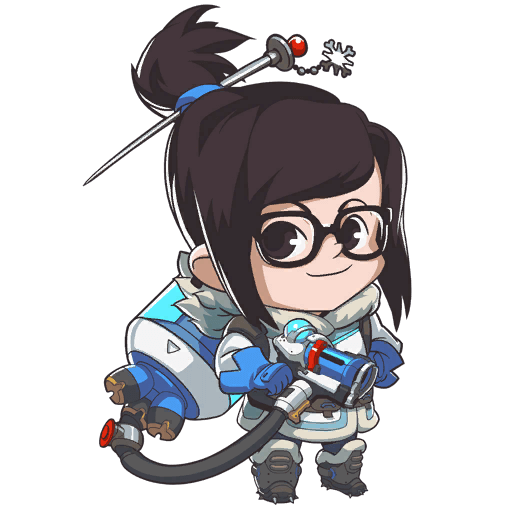 Another good way of telling if a Mei is about to use Blizzard, is to be cautious about her Cryro-Freeze usage, as it will allow her to gain rapidly ultimate charge during a fight. Because of this, most Mei players use their ultimate after leaving Cryo-Freeze as soon as it becomes fully charged - but this also means that they are a stationary target to Defense Matrix and eat the ultimate. Did you know her gun does a surprising amount of damage? Whilst Mercy is a trivial 1v1 character to fight, there are a few techniques to consider when playing against one to have the easiest time for yourself. Even if D.Va lacks a secure kill mechanism (such as Hog’s hook), she is able to deny enemy resurrections easily through abuse of her large MEKA hitbox (Mercy can’t fly through people she can’t see). 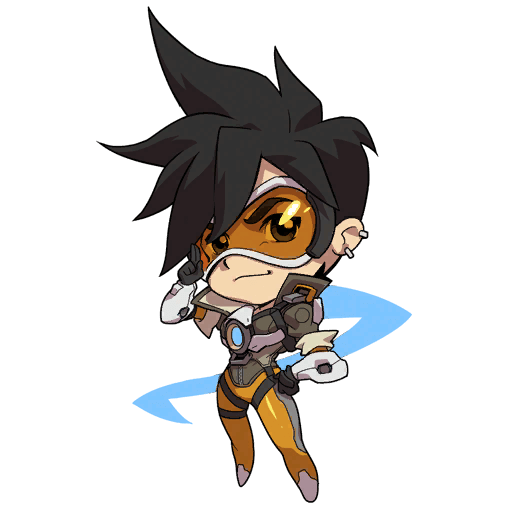 Boost and shoot into Mercy as she flies across the battlefield, and chase her as much as you can to either nullify her effectiveness or kill her outright. Moira’s damage is significantly reduced against armour. Use this buffer to get in close to her, and if possible save your Boosters to chase her after she vanishes. Without her healing or damage orb, she has no hope of 1v1ing you in close quarters. Very much a skill matchup most times, Orisa versus D.Va battles are decided by who utilises their respective abilities the best. Since Orisa has a very large headshot hitbox, she can easily be melted by point blank shots plus a missile barrage. Try to use missiles after her armour is depleted as armour reduces the amount of damage D.Va’s Micro Missiles do much more greatly than it reduces the damage of her cannons. Smart Orisa players will shield dance between her barrier and halt you to the other side to reduce damage. You can try boosting when Halt! is used to avoid the displacement effects it has. Fly into her with Matrix up and hit her. Shoot whilst you fall, or position on the high ground as close as possible for the most DPS. If you’re chasing a Pharah, be aware that she cannot displace you with her concussive blast whilst you’re boosting - so be sure to use your boosters if you know she’ll try to knock you away. When blocking her ultimate, remember that Pharah will commit suicide if you boost right into her as she uses it - she will kill herself on splash damage. Use this as a desperate tactic if you’re out of Matrix! 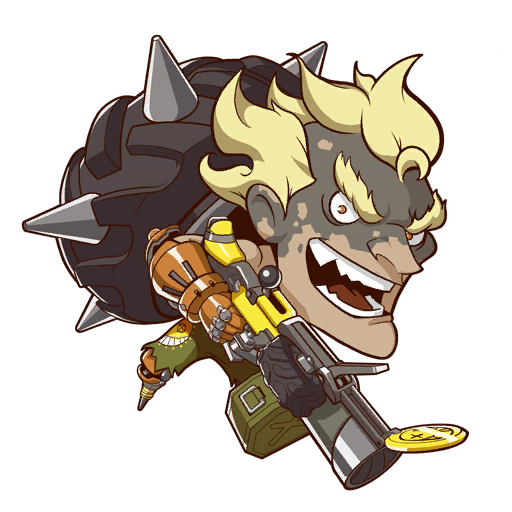 Much like other DPS heroes, wait till he empties his clip and then lay damage as he reloads.If you run out of Matrix or cannot burst him before he starts landing consistent damage, it's easy to lose the 1v1. He’s not a massive danger, but it’s hard to reliably 1v1 a Reaper. Try to fight him at medium range as his falloff is greater than yours at that range. When your Matrix runs out or he has to reload, unload your full combo onto him to blow him up before he can start lifestealing off you again. It’s also important to note that as D.Va you can still stop anyone dying from Reaper’s Death Blossom, but it requires good timing. His ultimate doesn’t kill particularly quickly, so you can wait a second before starting Matrix as to ensure no-one dies. Whilst it might be easy to win a 1v1 against Reinhardt, it is not as easy playing directly against him. He can block your ultimate, force you to use your Matrix (which good players will capitalise on) and charge your carries. Unlike Zarya/Hog, you cannot save a charged target so you are reliant on denying him the ability to charge in the first place. Prioritise breaking his barrier to allow your own Reinhardt to shatter, or to force their team to adapt their positioning. A deathball comp is very weak when they have no shield to rely on. When fighting Reinhardt, try to use high ground as much as possible, and abuse the fact you’re ranged, and he is not. You can reliably kite a Reinhardt - it makes his life miserable if he can’t attack you at all! When fighting Roadhog, use your Boosters instead of Matrix if he hooks you. When you get hooked, the Matrix activation animation is too long to absorb his initial shot - but Boosters is not. Be sure to save Matrix charge to tap it on hooked allies after they get hooked! It’s your job to save their life. If you have no Matrix though, you can either intercept the shot, or boop the Roadhog to mess up his aim. When he uses Whole Hog, be sure to keep your distance when eating it: if you zoom into close range, you’ll be blasted off team rocket style once your Matrix runs out. Keep your distance so that you’re still protecting your team, but won’t be launched off if your matrix runs out. Additionally, an ulting Hog is at his weakest as he can’t use Take a Breather. Try bursting him down on a flank before he can heal up. You easily win the 1v1, until Soldier uses his Biotic Field - then he can simply out-sustain your damage. To reliably counter this, boop him out of his healing field with Boosters (fly into him with Matrix). Maximise damage with a SHIFT + Melee combo. He can either run back into the healing field by sprinting around you or try fighting outside of it - both scenarios he should lose. Soldier is unable to crit during his Tactical Visor, so you can walk straight up to him and body block his shots once your Defense Matrix runs out. For Sombra, there are two types of battles. At the start of the game, she will usually appear behind tanks or healers and farm her ultimate for a bit, then Translocate out. Instead of shooting her here, it’s important to Matrix her to deny her ultimate charge and force her to waste more time to farm EMP. 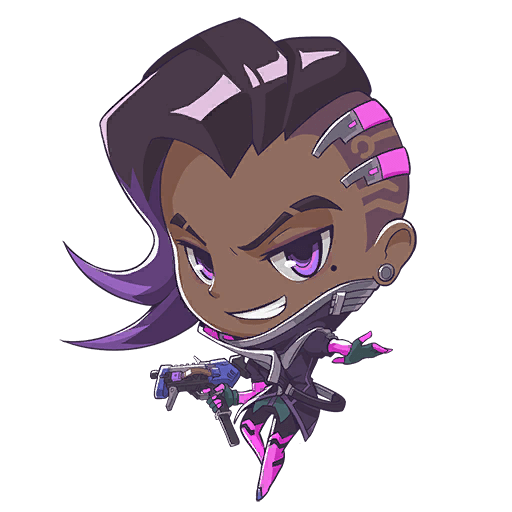 If a Sombra is directly fighting you, it is vital that you do not Matrix, as she will hack you through it and turn you into a juicy ultimate charge battery. Fight her in close quarters and blow her up with Micro Missiles. If she arcs her Translocator high in the air and you react quickly, boost directly away to try prevent getting EMP’d. You can keep your hacked teammates alive by using Matrix, if you get out of the EMP radius. Against a Symmetra, your best asset is using your Boosters to sweep away her turrets at choke points, and allow your team to push through more easily. If you will use your bomb to destroy a Teleporter or Shield Generator, only use it if you’re standing right on top of it. Aware Symmetra players will time their Photon Barrier to block the blast. Torbjorn’s turret is a lot less dangerous than the dwarf himself. His right click can actually two-shot a D.Va mech, which makes his weapon a lot more fearful than it seems. Fly in with Matrix as close as possible and shoot at his head. You have the hitbox advantage as it is hard to miss him because of his short and stubby frame. Use your Micro Missiles to destroy Torbjorn’s turret quickly, and harass him if he tries to replace it. You can easily cycle your DM with her reload. Matrix when she fires and lay down damage when she reloads. Rinse and repeat - easy peasy! If you have difficulty aiming, make use of your Boosters-Melee combo. When Tracer has Pulse Bomb ready, she will more often than not go for melee range Blinks to land an easy stick onto your allies. Be aware of this and flash your Matrix up when needed. This definitely depends on the ability of the enemy Widowmaker. Most of the time though, approach the Widow with Matrix (note: I didn’t say Boosters - only use them if you have to). Most Widowmakers, if they have it available, will just grapple away which ruins your ability to fight and continue the chase if you’ve used your Boosters. Shouldn’t be an issue at all. Arguably one of the easiest matchups if you’re inside your MEKA: just use your cannons and missiles to shred him if he jumps on your teammates. Outside, he will rip you apart easily. If the Winston likes to bubble dance (move inside and outside his bubble shield to block your shots), stop shooting to move to the same side of the bubble, then resume shooting when you can. If he uses his ultimate, always keep shooting as it lowers the amount of knockback you take against him by a large amount - possibly stopping him from knocking you into a corner, the enemy team, or a pit. Zarya versus D.Va is often overrated. Whilst she will out-DPS you after hitting 55 charge (if the D.Va is accurate but isn’t headshotting) you can definitely still burst her down if her bubble is on cooldown, and you are able to eat ultimates you may feed her. I’m not advocating that you pick fights with every Zarya you see, but definitely you don’t have to be terrified of one. Whilst your weapons are better the closer you are to the target, Zarya’s beam does the same damage to anyone it hits regardless of range. Because of this, ensure you are barrel stuffing any Zarya you do pick a fight with, and always aim for the head for maximum DPS. You can easily compete with higher charged Zaryas as long as their bubble is down and you are accurate - and with your missile volley you can burst them rather quickly. If a Zarya is fully charged though, try using your environment to avoid them, rather than boosting erratically. By boosting, you make yourself a juicy airborne target, while by hiding behind objects you make her waste both time, ammo, and charge if she tries to chase you. If you start using your missiles, and an observant Zarya tries to catch the volley with her bubble for charge, be sure to whip your mouse away to deny her the chance for energy. You can also bait Zaryas into using their bubble early with the same tactic, then engage on them. Make sure that you can commit to the fight properly: he may be immobile, but Zenyatta is both usually with his team in the back line and capable of large quantities of damage. Whilst Zenyatta is an easy target for you to burst down due to his large circular hitbox, if you’re matrixing his right click, don’t activate your ability immediately. You will not have enough Matrix to sustain the full charge time, and will simply get gibbed once your Matrix runs out. Hey, I'm Level 5 Pidgey! I hope you enjoyed reading through my collaborative D.Va guide. For those who haven't heard of me before, I've been Grandmaster on at least one account since season 4, after initially placing Silver all the way back in season 2. My primary tank of choice is D.Va, but I've played a fair share of the other tanks and supports in the roster and have been enjoying Overwatch all the way back since the open beta. I enjoy creating educational content for others to learn and improve from, and I hope that after reading this guide you can take the advice given to improve your play, have more fun, and gain some of that sweet SR. The above individuals are thanked for their contributions to the article, either be it through write up, voice over work, gameplay footage, or inspiration to pursue the creation of this guide. Advanced Roadhog guide by Grandmaster Rex. He explains all Chain Hook combos, playstyles, mechanics, and best pairings. 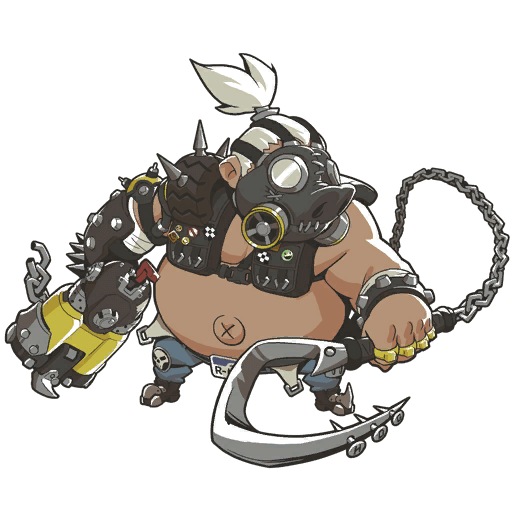 Learn when and how to play Roadhog. Let’s learn the role of each hero and how to use their abilities in the new CTF. Almost all heroes are viable, but there are better choices for certain goals. Stop relying on your DPS and learn how to counter Pharah with D.Va. Flying capability, great damage, and tankiness are excellent to pressure and kill her.